Opera products help more than 350 million internet consumers discover and connect with the content and services that matter most to them, regardless of device, network, or location. 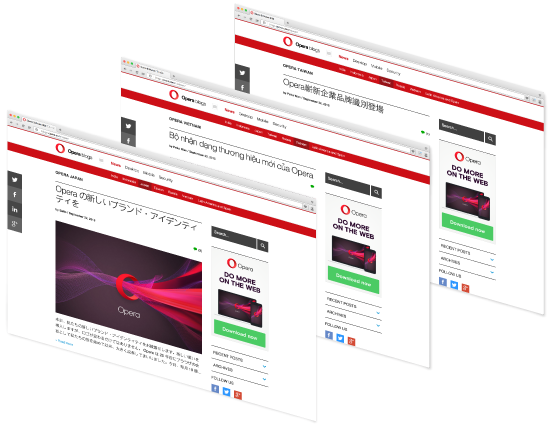 Primarily known for its family of web browsers, Opera delivers products and services to more than 120 operators around the world, enabling them to provide a faster, more economical, and better network experience for their subscribers. Opera needed to give its global user base the ability to access and download the Opera Browser. Because Opera’s servers are based in Europe, they needed a way to push their content closer to potential users across the world, ensuring those based outside of Europe wouldn’t be frustrated by slow or unsuccessful downloads. They turned to Fastly to strategically cache and instantly update assets across the globe, and for a modern, self-provisioning CDN with an intuitive UI. Opera explored various providers, but found other CDNs proved difficult to set up and required going through an account rep to get started. 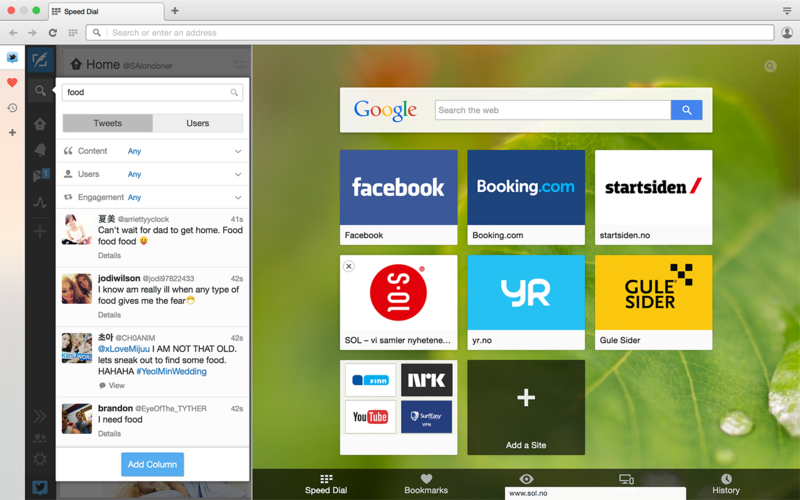 Opera found Fastly easy to get up and running quickly on their own. When Opera does need assistance, they find Fastly’s team helpful, responsive, and extremely proactive, often alerting Opera to issues before they are aware of them. Other CDN vendor performance tends to vary when serving different file sizes; Fastly gives Opera the ability to cache large files, making it easy for users to download their browser as well as access other services. Caching and serving assets from the edge improves performance and ensures that Opera users can access its suite of products quickly, improving conversion globally. 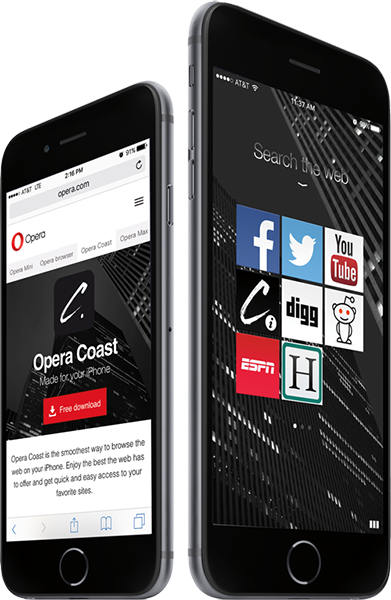 In addition to the Opera Browser, Opera also uses Fastly to cache assets on Opera Discover, a news aggregator with many images that they scale and cache in different sizes; Opera.com; and favicons on Opera Coast, a browser for iPads and iPhones. 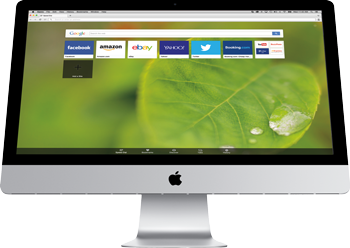 When Opera does need to make an update, Instant Purge gives them the ability to refresh content across Fastly’s global network in real time. Many Opera users are located in Asia and South America — regions which often have poor bandwidth and network connections and are far from Opera’s origin servers in Europe. Fastly helps ensure that those users are not only able to access Opera products, but can do so quickly, regardless of geographic location. Opera relies on Fastly to shield their origin during high-traffic events, such as when they release a new product or version of their browser. Recently they had a problem with one of the software patches they send out to their Browser. The fallback mechanism kicked in, resulting in downloading a full package instead. This huge increase in traffic brought down their secondary CDN. They routed all their traffic through Fastly — which handled it without any issues. By offloading traffic and improving conversion rates, Fastly has allowed Opera to effectively scale its organization. Instead of paying for additional data centers and associated maintenance, Opera can rely on Fastly for speed, performance, and reliable delivery of its browser.